The picturesque capital of Himachal Pradesh, Shimla is filled with numerous imposing buildings and structures that are not only historically important but also happen to be the top tourist attractions in Shimla visited by tourists as well as connoisseurs of art and heritage. 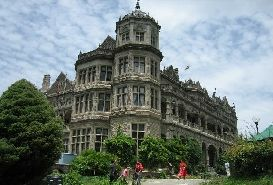 Such was the charm of this tiny village, that Britishers decided to convert Shimla into their summer capital in India. 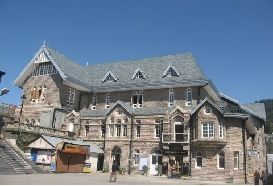 Today the structures built by the British have become not just the most visted attractions in Shimla, but also the repository of culture and history of imperial India. 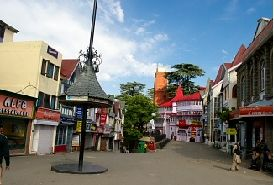 Walking down the popular Mall Road and observing the bunglows and historical edifices dating back to the days of Raj eviokes a distict colonial charm which is one of the reasons why Shimla is one of the most popular tourist destinations in India frequented by families, youth and honeymooners alike. If you are planning your holidays in Shimla then these historical places should be on top of your list of things to do in Shimla. 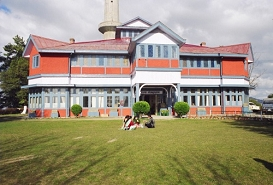 Some of the top and most popular historical sites in Shimla include the State Museum, Viceregal Lodge, Gaiety Heritage Cultural Complex and an array of churches and cathedrals.